There’s few more polarizing destinations than Bali. Those who love it, adore it, and those who hate it will do anything to convince you there are much better places to visit in Southeast Asia. Truthfully, the outcome of your trip will depend almost entirely on choosing where to stay in Bali wisely. 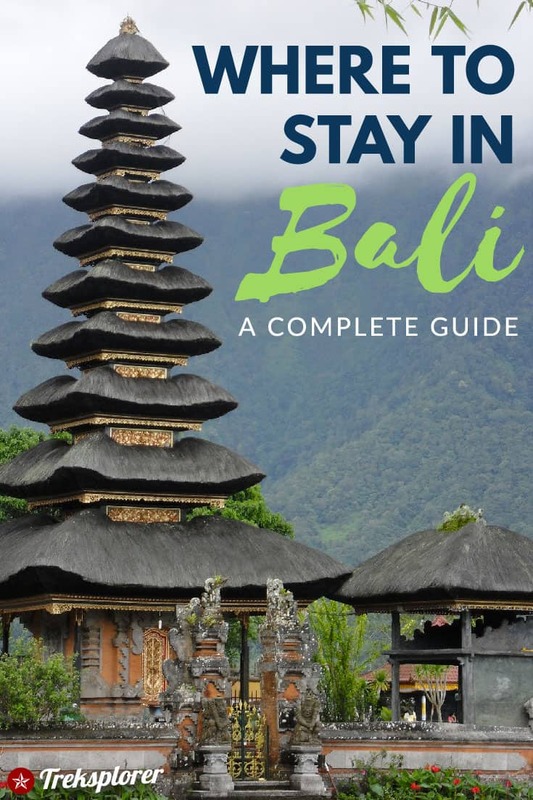 Although the island only spans about 40 kilometres across, there’s a whole array of interesting areas to stay in Bali that can feel as different from each other as venturing off to another country. Bali’s justifiably famous for its beach culture, and one of the best places to experience it, overall, is in the seaside town of Seminyak. Unlike the raucous Kuta & Legian to the south, Seminyak offers a more mature approach for your stay in Bali without being out of reach for travellers hovering in the mid-range. Despite not having the hard-partying reputation of other west coast Bali destinations, Seminyak is hardly a bore either. The town is home to famous clubs like Ku De Ta where internationally-renowned DJs often make appearances. If you want something a little quieter, there’s also a large contingent of bars & superb restaurants where you can chill out with a drink & meal while watching Bali’s famous sunsets over the Indian Ocean. In town, you’ll also find a barrage of shopping boutiques should the seabreeze compel you to buy a new swimsuit or pair of designer sandals. Even with a slightly more upscale focus than many other coastal towns, Seminyak offers a wide assortment of accommodations to suit all types of travellers from budget to luxury. The most compelling hotel deals in fall within the mid-range where you can get awesome 4-star resorts & some of the best hotels in Bali at prices that would only fetch you prison-cell-sized rooms in places like Tokyo or Hong Kong. Of course, top-rated luxury hotels & villas will require a bit more of a spending boost. Tijili Seminyak: A 4-star hotel with bright & spacious rooms that offer insane value. Property is located just 5 minutes walking distance from Double Six Beach. Courtyard by Marriott Seminyak Resort: A superb value retreat located just 5 minutes from the beach. Rooms are decked out with contemporary furnishings and feature private balconies & terraces with city or pool views. Hotel Indigo Bali Seminyak Beach: A brand-new beachfront resort boasting four outdoor pools & six on-site restaurant serving a range of Indonesian, Asian & international cuisine. Design throughout the hotel is modern & sophisticated, incorporating lovely local twists for a truly memorable stay. W Bali Seminyak: A picture-perfect 5-star retreat located directly on the beach. Rooms are modern & spacious, offering dramatic sea & garden views. Upgrade to one of their marvelous villas, featuring your own private pool, for a world-class Bali relaxation experience. Ever since experiencing the brash attitude of Kuta firsthand, I always scratched my head wondering why it’s one of the most popular areas to stay in Bali. It’s busy, noisy, and obnoxious, all things that are completely antithetical to the popular image of the island. Kuta is a hard-partying town that’s like an all-year-long Mexican spring break on mescaline. Okay, maybe that’s a slight exaggeration, but heed this warning: this not the place to stay for a relaxing vacation. The overgrown fishing village (and now urban jungle) is full of bars, nightclubs, surf shops, boutiques, and just about everything you’d expect—and not expect—from a popular tourist area. Despite all its quirks & detractions, even I’ll have to admit that, like other coastal towns in Bali, the white sand beach here does offer up some spectacular ocean views. Nonetheless, unless you’re a young backpacker on a tight budget who’s looking for a stretch of sleepless nights, you’d do well to skip Kuta for better options elsewhere like Seminyak, Jimbaran, Uluwatu, or Nusa Dua. As expected from its reputation, much of the focus here is on the lower end of the accommodations market. You’ll find a wide selection of budget hostels & guesthouses here with a handful of mid-range & luxury options thrown into the mix. Amnaya Resort Kuta: An impressive resort outside of the backpacker’s bubble featuring elegant & spacious rooms that don’t break the bank. 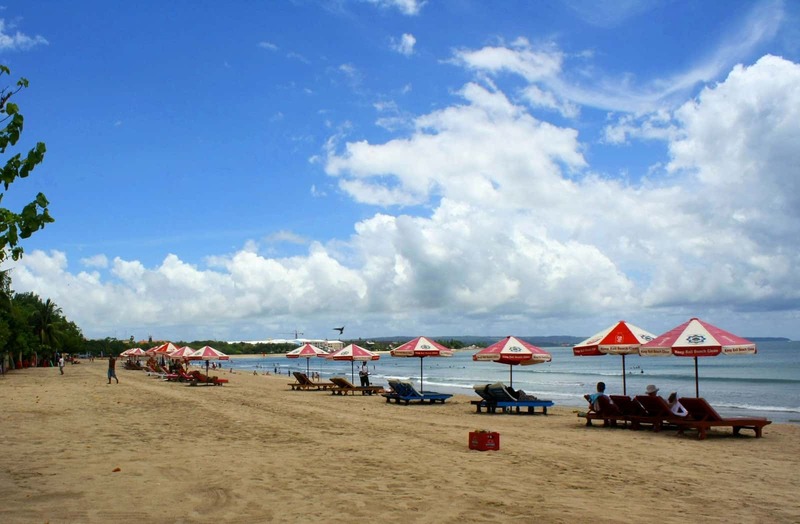 If the relaxing outdoor pool terrace isn’t cutting it, Kuta Beach is a twelve-minute walk away. The Anvaya Beach Resort Bali: A quiet oceanfront resort set away from the bustle for a relaxing stay. Everything from deluxe doubles to opulent luxury villas are offered with massive discounts available on pre-paid reservations. Sheraton Bali Kuta Resort: Watch glorious Indian Ocean sunsets from your own private balcony at this superb 5-star beachfront resort, the only of its kind in the area. Central location puts the town’s best restaurants & bars within reach. 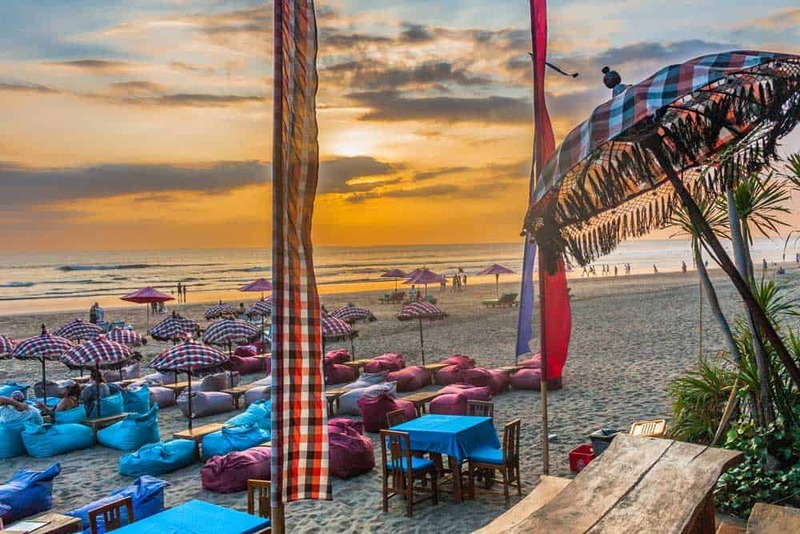 Perhaps second to only Kuta as the top choice for where to stay in Bali for backpackers, Legian is much like its neighbour to the south, boasting some of the island’s craziest nightlife and a long white sand Indian Ocean beach with brilliant sunsets. With its location between Kuta and Seminyak, Legian feels like a decent compromise between the two. Accommodations are as affordable as Kuta with less crowding for a slightly more relaxing stay. There’s also a good mix of mid-range hotels & resorts here should you want a little something more. There’s a little of everything here from cheap hostels & budget hotels to luxury resorts perched upon the oceanfront to cater to your every need. Adys Inn: One of Legian’s best budget hotels, this 3-star boutique gem is located just 3 minutes from the beach and features superb value rooms (we’re talkin’ really cheap here) bedecked with traditional Bali style. All rooms come with their own private terrace or balcony facing onto a lovely courtyard garden. Ossotel Legian: Another lovely and value-laden resort-style accommodation with bright, spacious rooms. Private terraces & balconies in every room face onto pool where you can quickly cool off in the hot & humid weather. The ocean is just 2 minutes away by foot. Padma Resort Legian: A fantastic 5-star oceanfront resort that’s the best choice for a luxurious stay. The property features two pools with plenty of amenities that cater to the entire family from swim-up bars for the adult to water slides for the kids. It’s funny how many travellers neglect Jimbaran when fashioning Bali travel plan, especially when faced with a time-crunched layover. This slightly lesser-known lies close to the airport, and with its mid-range & luxury accommodations focus and quieter lifestyle, is a far better choice than Kuta for a quick stay in Bali for most mature travellers. 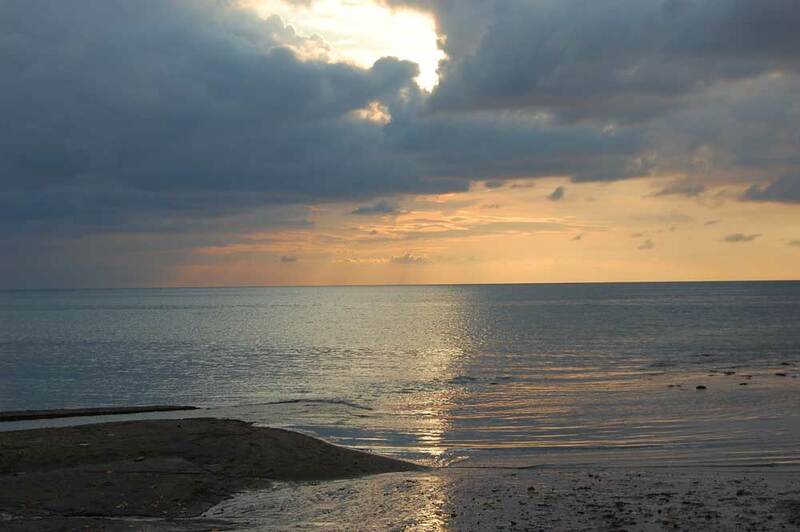 Like the rest of the west coast of Bali, Jimbaran is famous for its beaches & sunsets. The town is also home to some of the best seafood restaurants on the island, serving up some of the freshest seaside dishes you’ll encounter anywhere. All in all, Jimbaran is a quieter alternative to more popular areas to the north and a more central option than nearby Uluwatu and Nusa Dua. Even with its growing popularity, Jimbaran doesn’t have the accommodations inventory of other towns along the western coast of Bali although this seems to be improving year after year. Much of the focus here is on the mid-range & luxury with options in the budget range being relatively minimal. Balquisse Heritage Hotel: A super-cool boutique hotel with unique rustic colonial stylings and a garden-like atmosphere. 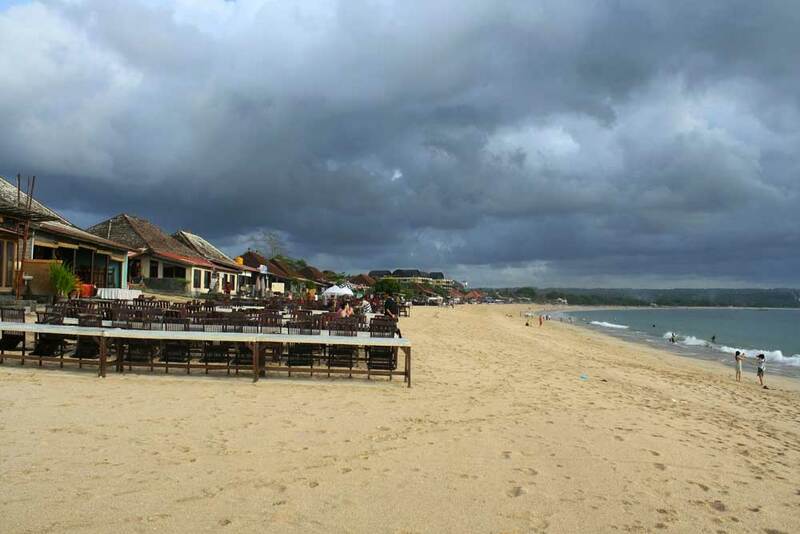 Jimbaran Beach is just 4 minutes away by foot. RIMBA Jimbaran BALI by AYANA: A massive resort that stuns guests with delightfully modern rooms, a dozen swimming pools, and almost 20 on-site restaurants delivering everything from Chinese & Balinese to Mexican & Mediterranean food. The beach is a short five-minute walk away. InterContinental Bali Resort: Another lovely luxury seaside resort pulling out all the stops from spacious & uniquely designed Balinese-style rooms to relaxing spa treatments. Truly an oasis of sophistication & calm. Four Seasons Resort Bali at Jimbaran Bay: A spectacular 5-star resort that’s not just one of the top places to stay in Jimbaran, but one of the best hotels in Bali. Each private villa here features legendary Bali style with the best-of-the-best going the extra mile by supplying guests with a private infinity pool overlooking Jimbaran Bay. Extra amenities include cooking classes, yoga retreats, and luxurious spa treatments for your holiday. If you’re looking for a true Bali vacation rather than an immersive travel experience, the little luxurious enclave of Nusa Dua might be just what you’re looking for. Many travellers immediately dismiss Nusa Dua for this one reason, but sometimes, a strong dose of relaxation rather than cultural immersion is just what you need. And this is the perfect place to do it. Aside from hosting some of the best luxury resorts in Bali, Nusa Dua offers a great selection of restaurants, both in town and along the beach. It’s also a great place to base yourself to take on some of the top things to do in Bali on day trips. A handful of the top resorts in Bali call Nusa Dua home, making it the perfect getaway for pure pampering and relaxation. There’s relatively little here in terms of budget accommodations although the selection seems to be growing as of late especially in terms of homestays. The Westin Resort Nusa Dua Bali: A lovely beachfront property offering large rooms spun with modern style with Balinese twists. Between seven on-site dining options, five pools, and top-notch recreational facilities like a fully-equipped gym and tennis courts, you’ll find everything you need for your stay at this sleek 5-star resort. The Laguna Resort & Spa Nusa Dua: A 5-star resort that couldn’t be anywhere but Bali. Traditional styles & landscaping mingle with modern amenities to create an atmosphere unlike any other resort on the island. Splurge on an exclusive one-bedroom villa, featuring your own private pool, garden & gazebo, for an extra special stay. The St. Regis Bali Resort: A luxury 5-star oasis that feels miles away from the usual bustle of Bali’s well-developed south. All of the features you’ve come to love from St. Regis—from its signature butler service to its world-class spas—is alive & well at this premier Bali resort. 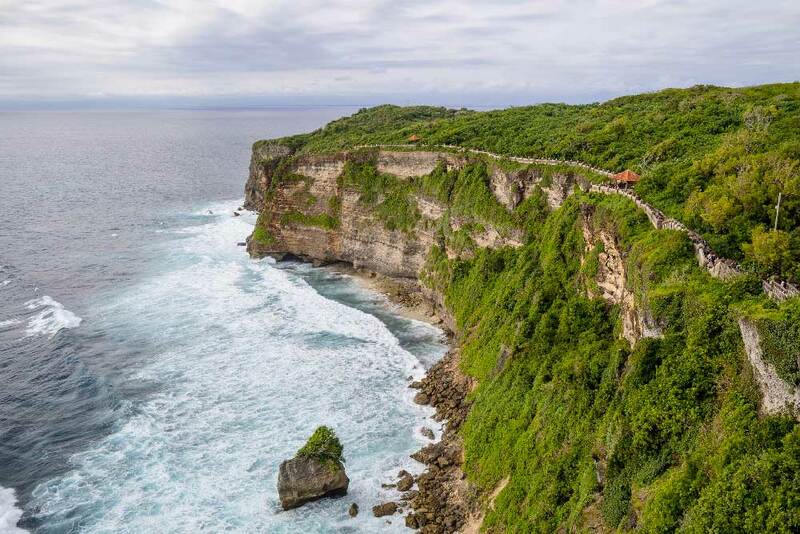 Moving further down the coast to the Bukit Peninsula, you can’t help but be put into awe with the lovely Uluwatu area. Famous for its rugged coastline, cliffside temples, dramatic sunsets, and must-see cultural activities, Uluwatu is a choice for where to stay that feels lightyears from the beach-bumming, bass-poppin’ insanity of Kuta or even Seminyak. For mid-range & luxury travellers looking to relax while in Bali, Uluwatu is a fantastic area to stay. There’s a good selection of hotels & resorts here offering excellent amenities, all in a prime location with Balinese culture at its fingertips. Outside the hotels, there’s also a good selections of small cafés, restaurants & bars to while away your time. Keep in mind that Uluwatu is more low-key that other coastal towns. If you’re looking to get your drink on and pull all-nighters, this isn’t where to stay in Bali. When chilling out to spectacular sea views and sunsets with a tea or a cocktail in hand is more your style though, Uluwatu is a superb choice. Like much of the Bukit Peninsula, much of the focus in Uluwatu is on the mid-range & luxury segments of the market. Compared to Nusa Dua & Jimbaran, you’ll often find better value for your accommodations here. PinkCoco Bali: A budget-friendly 3-star hotel that’s far more spectacular than its lower price point would predict. Room are colourful and feature classic Balinese design touches like rock-ringed shower stalls and stone-carved sinks. Renaissance Bali Uluwatu Resort & Spa: For affordable luxury in Uluwatu, look no further than this superb resort. Set inland, this hotel feels like a true escape, surrounded by lush greenery and unleashing sweeping vistas towards the Indian Ocean. Radisson Blue Bali Uluwatu: Classic Asian motifs collide with contemporary designs at this lovely resort set close to the Indian Ocean. Extra amenities like a fitness centre, spa & a relaxing outdoor pool area combine for a special stay. Bulgari Resort Bali: As its prestigious name would predict, this luxurious 5-star resort delivers a world-class experience set 150 metres above the Indian Ocean for dramatic sea views & sunset-watching opportunities from its terrace and infinity pool. Each villa is meticulously crafted to fuse modern European luxury with classic Indonesian motifs. When you’ve had enough of Bali’s seaside hijinks, there’s no better place to rest your head than the beautiful highland town of Ubud. The spiritual heart of Bali has long been one of the island’s most famous areas to stay, even before the massive success of “Eat Pray Love” gave it a serious tourism boost. 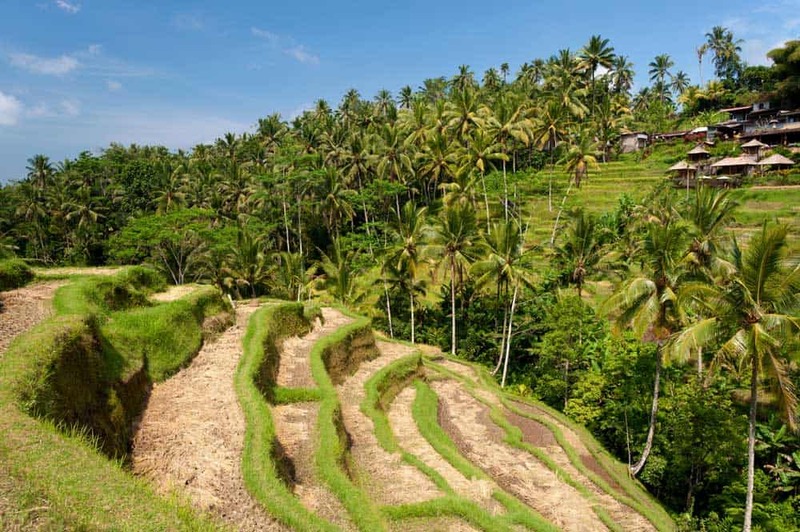 In comparing Ubud to the rest of Bali, the contrast couldn’t be greater. This is definitely the best area to stay in Bali for those looking to enjoy a sublime cultural experience and explore Bali’s rich cultural fabric rather than simply lazing by the beach. Ubud is justifiably famous for its sacred temples, traditional handicrafts, vegan restaurants, art galleries, and jaw-dropping rice fields. Thanks to the town’s popularity, there’s a massive selection of accommodations in Ubud to fit every budget and travel style from plenty of homestays to luxury resorts. This, of course, can make sorting through all the offerings hopelessly difficult! While many travellers choose homestays here, the budget-friendly prices makes a great case for searching up villas & other private accommodations. Even luxury resorts in Ubud can offer superb value. Byasa Ubud: Super budget-friendly villa-style accommodations featuring an outdoor swimming pool & spacious rooms with private terraces or balconies overlooking lush rice paddies. Goya Boutique Resort: A luxurious resort pulling out all the stops for a perfect Ubud accommodations experience. Unleashing heavenly mountain & forest views, the infinity pool alone is worthy of the stay. Natya Resort Ubud: A glorious countryside resort set among lush greenery. Rooms are spacious & luxurious, decked out with classic Balinese designs that add tremendous depth & character. Upgrade to one of the Royal Villas to soak away your cares in your own private infinity pool. 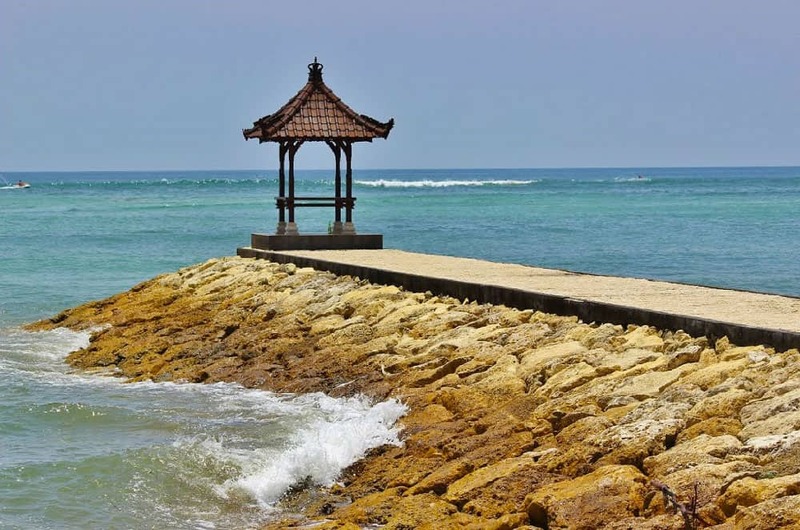 As one of the first parts of Bali developed for tourism, Sanur feels more like a classic Bali resort experience than the more recently developed areas of the west coast. What’s great about Sanur is that despite its excellent accommodations selections & amenities, you won’t have to reach far to catch a glimpse of Balinese culture in action. Thanks to a sizeable offshore reef, Sanur also lacks the strong currents & riptides of the west coast, making one of the better areas in Bali for families. Kids will love all the activities here from swimming to kitesurfing to sea kayaking. 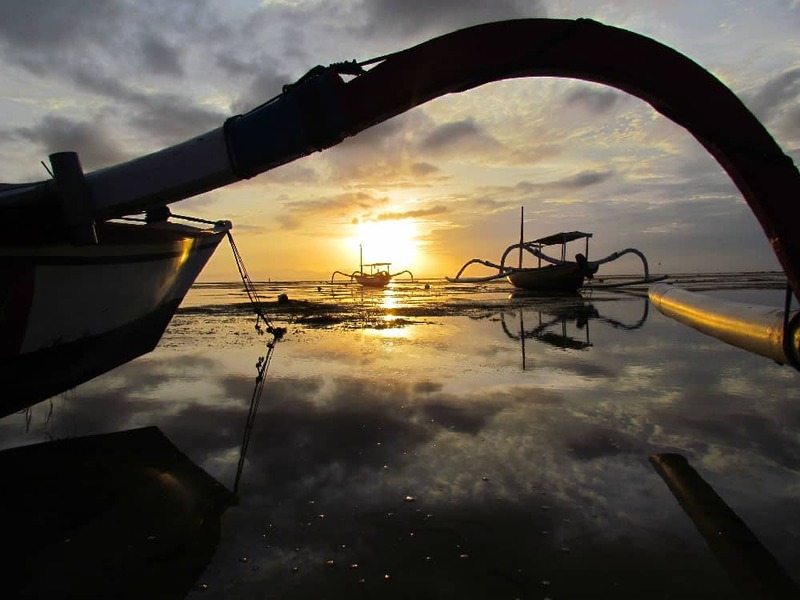 Sanur is without a doubt more suitable & satisfying to mature travellers rather than young backpacker types. In terms of nightlife, Sanur is far tamer than the west coast. There’s still a good selection of restaurants & bars in outside of the resorts, however, that are perfect for enjoying a drink or two with some great food & lovely ocean breezes. Given Sanur’s long-standing popularity, there’s a little of everything here from good value homestays to luxury resorts. On the whole, prices in Sanur are slightly lower than what you’ll find in popular west coast destinations like Seminyak. Puri Kesari Guesthouse: A budget-friendly 3-star guesthouse with bright & comfortable rooms just two minutes from the beach. Kejora Suites: A lovely 4-star boutique hotel that charms guests with impeccable Balinese design. The glorious pool area, ringed with lush greenery, offers a pleasant escape within the town. The ocean is just one-minute away. Maya Sanur Resort & Spa: A luxurious beachfront getaway set in quiet area of Sanur. The expansive rooms feature rich wooden tones with eye-popping local accents. The coastal views from the swimming pool and beach are simply spectacular. With the popularity of Bali’s western beaches growing year after year, it’s surprising to land upon a place like Canggu that’s just starting to come into its own. Located just 25 minutes north of Seminyak on the Indian Ocean coast, Canggu is a calm and low-key destination (as of now) that’s perfect for travellers keen on escaping the wild party culture of its brethren to the south for a more subdued Bali experience. Even with its quieter atmosphere, Canggu is home to a handful of excellent oceanside bars, cafés and restaurants serving up Bali food favourites. It’s also a growing surfing hotspot with far more elbow room than other towns along the coast and sits close to picture-perfect rice fields and Tanah Lot, one of the Bali’s most famous sites. Lately, Canggu has also become particularly popular with “digital nomads” who are enamoured by its cheap accommodations and its Dojo Co-working Space. Compared to its brethren further down the coast, there’s a smaller selection of accommodations in Canggu. That’s not to say that there’s a lack to choose from here by any means! Much of what’s available falls between budget and mid-range. For true luxury, you’ll have an easier time further south. Ryanbagus Guest House: A friendly escape away from the action, this budget-friendly guesthouse offers rustic bungalows set in a quiet garden. Excellent choice for solo travellers. Tapa Tepi Kali: A lovely 3-star hotel with luxurious extras like a walk-in pool and on-site spa that punch above its weight. The beach is less than a twenty-minute walk away. Theanna Eco Villa & Spa: A spectacular luxury property impressing with a unique design that fuses Balinese & Japanese styles with Scandinavian simplicity. Each villa offers a private balcony/terrace and plunge pool. Huge discounts are available for pre-paid bookings. Anyone looking for a laid-back beach vibe without the thick crowds of western Bali should give the quiet town of Candidasa a try. Although there are certainly better beaches elsewhere, Candidasa is the perfect pick for a chilled out experience with good value accommodations. Besides the slower pace, Candidasa lies close to some superb cultural sites making it a great base to explore Bali more deeply. Some of the top attractions nearby include the water palace of Taman Ujung, the royal water gardens of Tirta Gangga, and Tenganan, one of the oldest traditional villages in Bali. Among all of these top areas in Bali, Candidasa has one of the smallest selections of accommodations. What you’ll find, however, is of high-quality with villas representing many of the best choices. 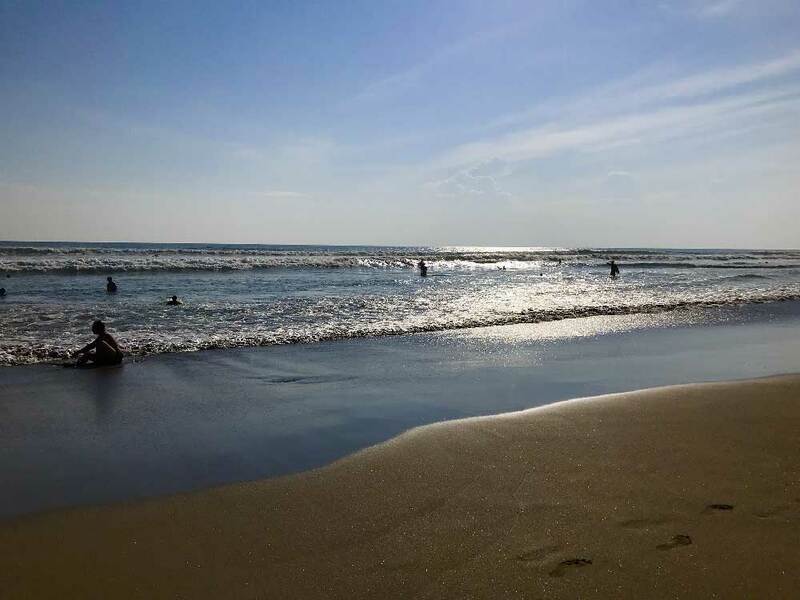 Crystal Beach Bali: One of the better choices for budget accommodations in Candidasa, this seafront property features everything from dorms to suites at prices that are hard to beat. Villa Gusmania: Located just minutes from the beach, this lovely mid-range hotel offers a tranquil escape amidst a beautiful garden oasis accented by eye-catching pink, purple, and red flowers. Alila Manggis: Set in a tranquil location away from the main accommodations area, this luxury resort offers one of Candidasa’s most relaxing accommodations experiences. The stunning sea views make for a perfect romantic getaway. Like Lovina in the north, Amed is a stretch of east coast villages rather than a single entity unto its own. The area’s growing popularity comes at the hands of its off-shore delights; Amed’s one of the best diving & snorkeling spots on the island with superb underwater treasures like the USS Liberty Shipwreck not far from it. Even with more and more divers venturing up the coast to stay in Amed, it’s still a fairly sleepy town that offers a ton of opportunities for relaxation. Other than a handful of small laid-back venues, don’t expect much in the way of nightlife in Amed. There’s a growing contingent of accommodations in Amed consisting mainly of budget-friendly backpacker haunts rather than the luxury properties you’ll find scattered elsewhere on Bali. De Adema Guesthouse: An ultra budget-friendly beachfront guesthouse surprising with mind-blowing sunrises & mountain views worth far more than what you’re paying. Bali Dream House: An oceanside beauty doling out lovely private villas with a unique Balinese design concept. The delightful pool area is the perfect place to experience one of the east coast’s famous sunrise. The Griya Villas & Spa: The most luxurious accommodations in Amed, these seafront villas shine with impeccable Bali design. Each villa features a private swimming pool with the best of the bunch delivering epic ocean views. Surfing around the web you’ll hear mixed reviews about Lovina, a stretch of small fishing villages tagged onto the north coast of Bali. Some travellers experience an immediate wave of boredom here as there’s little to do beyond walking along the volcanic beaches and grabbing a happy-hour drink or a sundowner at a small local bar. And that’s precisely why you might love it. Lovina is the perfect place to unwind without feeling the need to do much more than that. Even with tourism showing an uptick, here’s definitely a more local feel here with a noticeable lack of high-rise luxury resorts like you’ll find in other pockets on Bali. The Lovina area is also popular for its dolphin-watching tours and is the perfect base for launching day trips in North Bali including a chance to explore several waterfalls, lakes and hot springs as well as check out Bali’s former royal capital, Singajara, and some of the best temples in Bali. 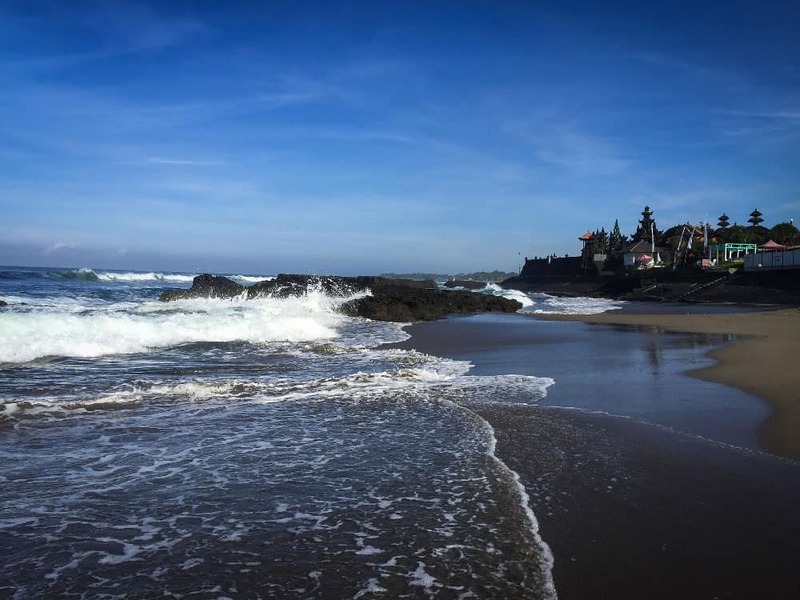 Even with Lovina’s growing popularity, there’s little selection up here compared to the more popular oceanfront resorts along the west & east coasts. The quality in Lovina can be hit-or-miss, but you’ll generally find better value here than many other destinations in Bali. Lovina Life: A budget-friendly property featuring clean & comfortable rooms at a reasonable price just minutes from the beach. The Lovina: A remarkable collection of villas set just minutes from the centre of Kalibukbuk, the main village in Lovina. The seafront location is perfect for enjoying the surf and relaxing with a delicious meal or an evening cocktail to witness a world-famous Bali sunset. The Damai: A lovely tropical escape located about 3.5 kilometres inland from Lovina Beach. Dramatic volcano and sea views sweep in as you wander through the property. Each villa is meticulously crafted with Balinese design principles. Although you’re a little ways from town, the award-winning on-site restaurant will give you a multitude of tasty reasons to stick around. Deep discounts are available for prepaid bookings. Like this article? Share it & pin it for later!